Why You Should Drive Defensively | Phoenix Personal Injury Law Blog - Breyer Law Offices, P.C. As an Arizona driver, you know that safety is paramount on the road, especially if you’ve driven through the Phoenix metro. You already know that your leisurely commute to work can be ruined by bumper-to-bumper traffic, angry drivers on the road, or an Arizona car crash. But it doesn’t have to be that way. Safe driving is all about defensive driving, and if you’re willing to practice defensive driving, then you will significantly reduce your risk of being in an accident. Check out these excellent tips for staying safe and driving defensively every time you go out in your vehicle. Keep your attention 100 percent focused on the task of driving at all times. Defensive driving has a lot to do with you and where you put your attention and focus. If your mind isn’t on the road, your vehicle shouldn’t be, either. Drive defensively even though others aren’t. Defensive driving techniques are taught in driver’s education when you first learn to drive. If you have forgotten them, or haven’t been practicing them, it’s time for a refresher course. Look up tutorial videos online or ask a friend or family member for some help. 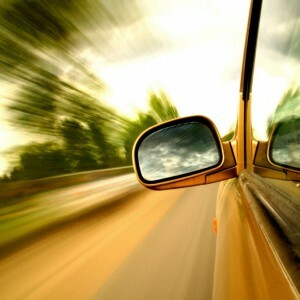 As a part of focusing on your driving, leave your electronic devices be while you’re driving. The National Highway Traffic Safety Administration (NHTSA) has reported that focus can be reduced by more than 35 percent when using an electronic device while driving. Give yourself enough time to get where you’re going. Time is essential when it comes to defensive driving. If you’re speeding like a racecar driver to get to your destination, you won’t have time to think about what other drivers are doing, or time to appropriately respond to their actions on the road. That said, don’t speed. Speed reduces the amount of time you have to react to a bad situation and can make a car crash far worse than it would’ve been at lower speeds. Drive safe, sober, and drug-free. It’s important that you have all of your faculties about you when you’re driving and that you make safety a priority in your mind. Don’t turn on your car until your passengers, and you, have fastened your seatbelts. Never drive when you’ve been drinking, when you’re fatigued, or when you’ve taken drugs or prescriptions that can alter your mind. If you do get into an accident, but it wasn’t your fault, call the Breyer Law Offices, P.C. to learn how about you can get compensation for the damages you have suffered.